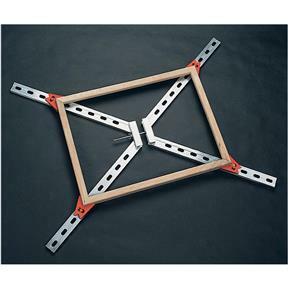 This popular clamp can handle frames from 5" x 7" to 26" x 30". 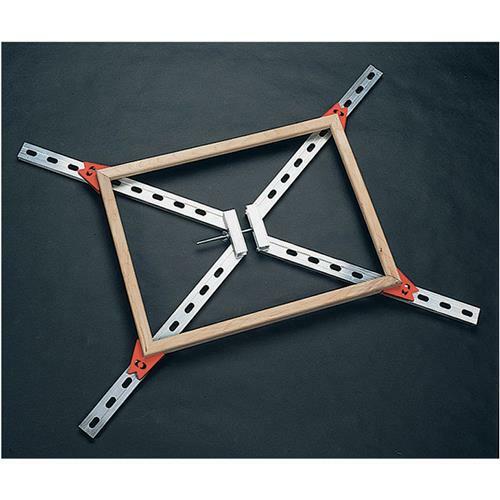 If you have bigger frames, it can be extended with a common bar clamp. 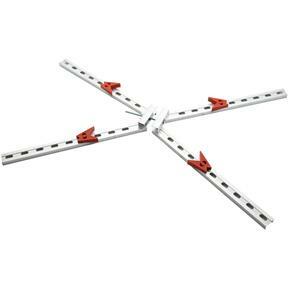 Features durable aluminum construction and self-squaring clamp pads, and comes complete with fully illustrated instructions. This really speeds up framing, and its self-squaring feature sure helps in pre-fitting the frame before gluing/nailing, etc. 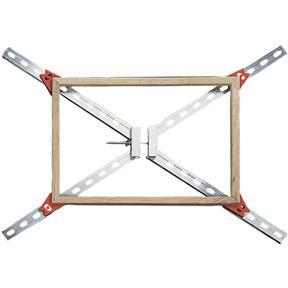 The only suggestion I might have is that the plastic adjustable corners might be a bit taller for box or floater frames, so that the top part of the corners fit tightly (though that can be done with corner clamps). For larger frames -- a bar clamp isn't necessary as an extension, all one needs is a threaded rod and a couple of extra wingnuts. Glad I bought it. Picture frames are much easier with better results now. Bought this for my son, I already own one and love it. the picture frame still in the clamp. This tool did a great job helping me build 2 new picture frames for odd sized pictures. It took a long time on the 1st picture frame getting the clamp set up correctly. It works beautifully and I am very pleased with it. I used this clamp to make about 24 picture frames for x-mas gifts. 8x10 and 5x7 sizes. The clamps works very well. Much better than a band clamp or a jig. It is adjustable. I used a clamp to hold the two sides together most of the time - seems to work better than the bolt/wing nut. Simple construction - should last a long time. I might suggest buying an extra set of the red v blocks - Mine are OK but I could see one of them breaking with repeated use.